Many engaged couples look for wedding photographers NJ if they are having their ceremony and reception in New Jersey. The most memorable day in your life can not go undocumented, am I right? Everyone says that the day will go by so fast. 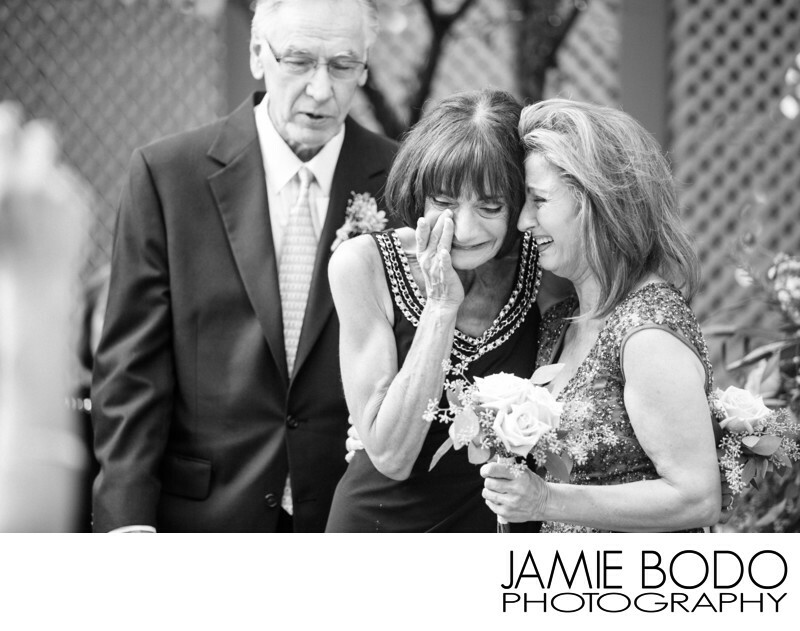 For example, in this image, both mothers of the newly married couple had a moment of tears and hugs. How many guests at the wedding do you think noticed this quick but meaningful moment? Not many. Do you know who absolutely did not witness it in person? The couple themselves. They had just shared their first kiss and walked back up the aisle. However, because they hired a wedding photographer in NJ, they have the life long luxury of viewing this moment forever.